My worldwide open mic journey began in China in 2008 after the Formula One race in Shanghai, and little did I know that it was a journey that would continue for six more years and cover most of the globe, every continent except Africa (where I once lived and played music in an open mic decades earlier) and Antarctica, and that it would spawn a book, a blog, an album, a documentary film, numerous podcasts, music videos and other multimedia projects. This year, 2014, I have decided to finish all of the projects and tie them together into a consolidation of multimedia. As part of my personal impetus to gather it all together for myself, but also put it into perspective on this blog, I have decided to create a page for each city I have visited on the journey, tying together samples of the whole multimedia adventure linked to that city. So here is the page devoted to tying together the pieces of the open mic adventure that I have lived in Japan since I first started. At each subsequent Formula One race that I visit this year, I will add a new such page. Keep posted…. NAGOYA – Got nothing done but a pizza eaten on my first night in Japan, in Osaka, before I checked out a music joint only to find it was not open for another 7 minutes, and I was too tired to move. So I returned to the hotel and didn’t sleep more than a couple of hours. That’s travel. So last night in Nagoya, for the first night here, I decided that nothing in the world would stop me checking out R&B Melrose, where the open mic night happens on Thursdays, and which I have played in once a year for the last five years. So it was that after a quick meal of fried chicken and noodles, I dropped by the R&B Melrose and got greeted in the usual fabulously warm and kind manner from the owners, and got my beer and took to the stage. I played I don’t know how many songs, many by myself, many others with a couple of the other musicians who were there for the open mic. The R&B Melrose is a basement bar the main purpose of which is to have live music. The stage is comfortable cool and there are instruments all over the place for the public: Drums, keyboards, acoustic and electric guitars, bass… you name it…. Did Mad World with one of them on the piano and the other on lead guitar. As I realized that it was my sixth time at this very cool and simple open mic with its devoted bar owners, here in Japan’s third biggest city, I realized just how much sake had gone under the bridge since then. (OK, water. I think I might have drunk sake once in Japan.) And I realized that I was using my same Seagull acoustic since that first visit to the R&B Melrose, and that it had been around the world 6 times now, too. If I can, I’ll be back next year. But first, the rest of the weekend in Japan…. I have rarely been as busy with travel and work as in the last week, and that is why there have been no posts for so long on this blog. I am STILL under pressure. But I did manage to force myself out to do an open mic last night in Nagoya, Japan, where I arrived the day before. And man am I ever glad I did it. 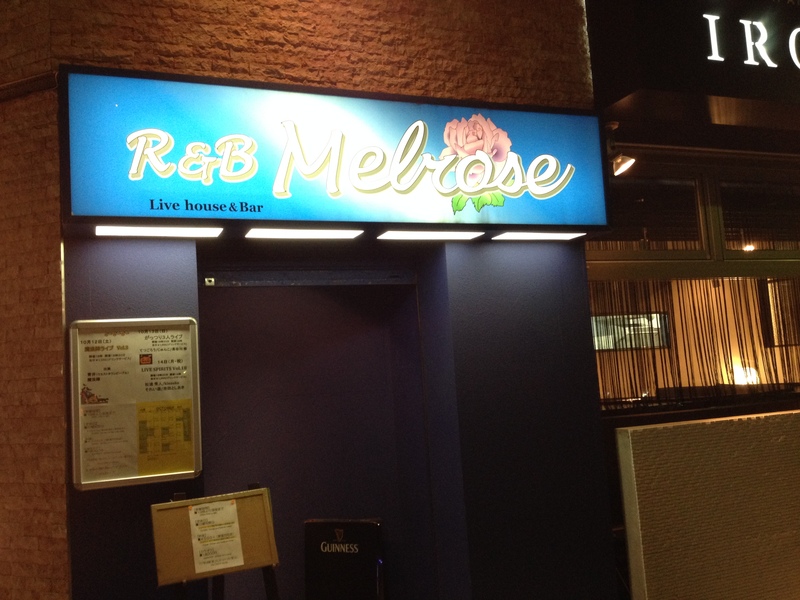 It was at the R&B Melrose bar in downtown Nagoya, where they hold an open mic until quite late at night every Thursday. I had an amazingly warm time amongst only Japanese musicians and spectators with little English, but with the universal language of our music, that did not matter. I got to play on three occasions, and on two of those I got to play with some of the other musicians in the room, who had spontaneously begun playing while I played. One man did harmonica, a woman took to the drums. Later, another guy took to the drums. I got great recordings of me playing with these musicians, with my own particular favorite being on my own song, “Crazy Lady,” on which I had the harmonica player and the drummer woman. And their music was gentle and occasionally very emotional, as you can see from the videos. A super, super, super cool night, and once again I was able to fulfill my personal objective of playing and recording me playing with local musician in every country I go to this year. I would put up Crazy Lady here but it requires editing out of the other songs I recorded, and again I am under pressure – this time for an interview in my journalist job, followed by a return trip of more than an hour to Nagoya where I am the feature act in another open mic tonight – at the Plastic Factory venue. More on that tomorrow. PS, almost forgot! Before I went to the R&B Melrose, I dropped off at the San Jose bar to see if a musician I met there three years ago was still the orchestra leader. And there was David and his two women singers, still there after all these years! So I did a video of them, David being from England, the woman being Japanese. Check that out too! 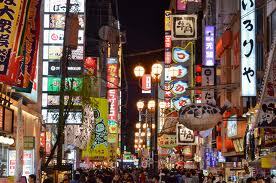 When we think of urban life and culture in Japan, we think mostly of Tokyo. At least I do. But I know very little about Japan, even though I have been here several times. I am getting to like it more and more on each visit, though, and part of that is related to learning how to read the culture and where to go to find it. Last night just walking through the streets of Nagoya, in the Sakae area, which is the central downtown part of the city, I nevertheless had a bit of unexpected culture thrown in my face. Nagoya may be Japan’s third most populated city, but it is somewhat understated, with most of the nightlife happening behind closed doors in basements and upper floors of buildings that look otherwise rather discreet. So I was surprised to suddenly have my attention grabbed by a bunch of people dancing in front of an office building at around 10 PM, using the glass front of the building as a mirror. This was very cool stuff, and so I grabbed a bit of it on video for the blog. Not far from this spot I heard a fabulous sound of rock music coming from the street, and my first thought was it was either an outdoor concert or a music bar with the doors wide open. Turned out it was a young band busking outside the Sakae subway station. They were really cool. I was running out of battery power on my Zoom HD Q3, though, so only got a bit of it. The guitarist was hot! Meanwhile, I think I found another open mic place to play, on Saturday evening. But I keep my fingers crossed.